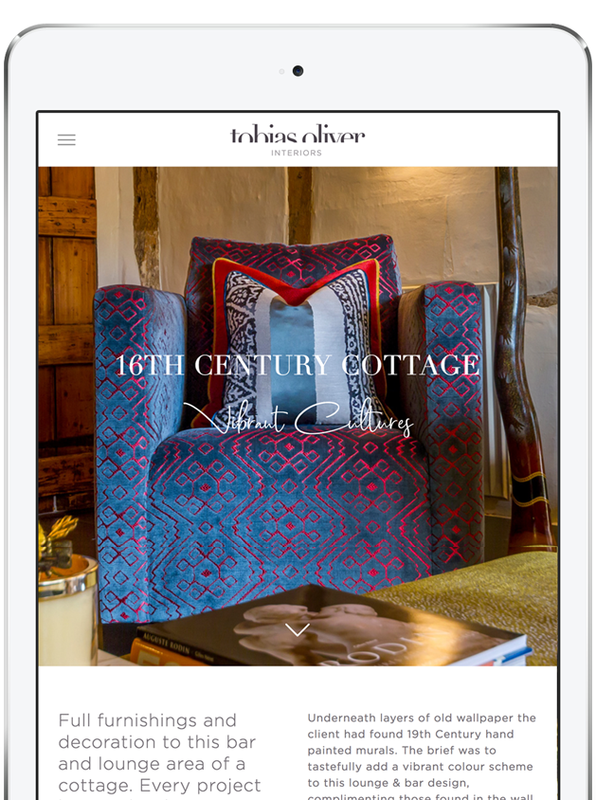 Tobias Oliver Interiors provide professional interior design services delivering luxury interiors & furniture to discerning clientele primarily in the Home Counties and London. 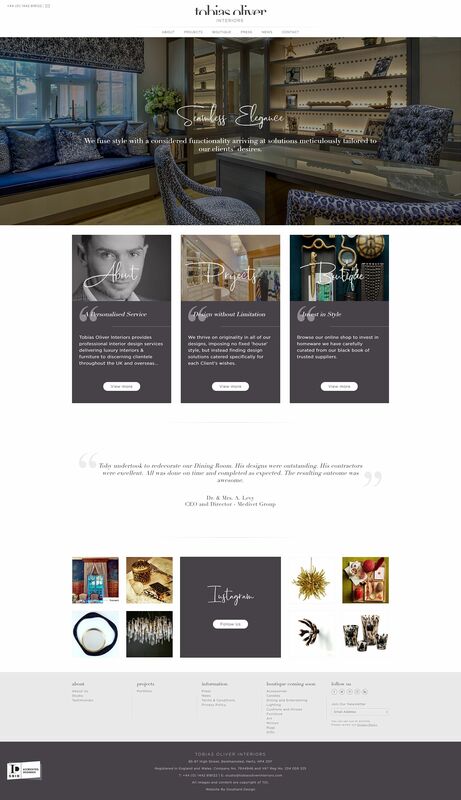 We were approached to help Tobias Oliver develop their new branding, interior design portfolio and product based website. 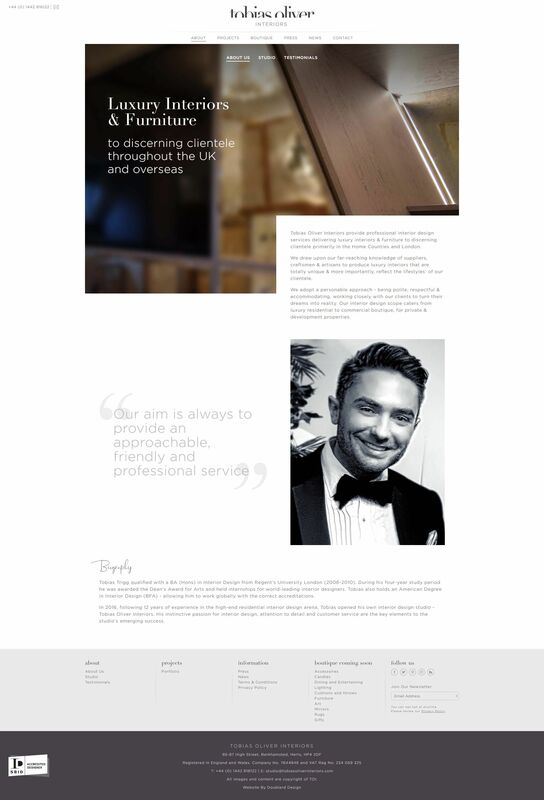 The website is driven by a bespoke content management system and integrated with their in-showroom EPOS system. 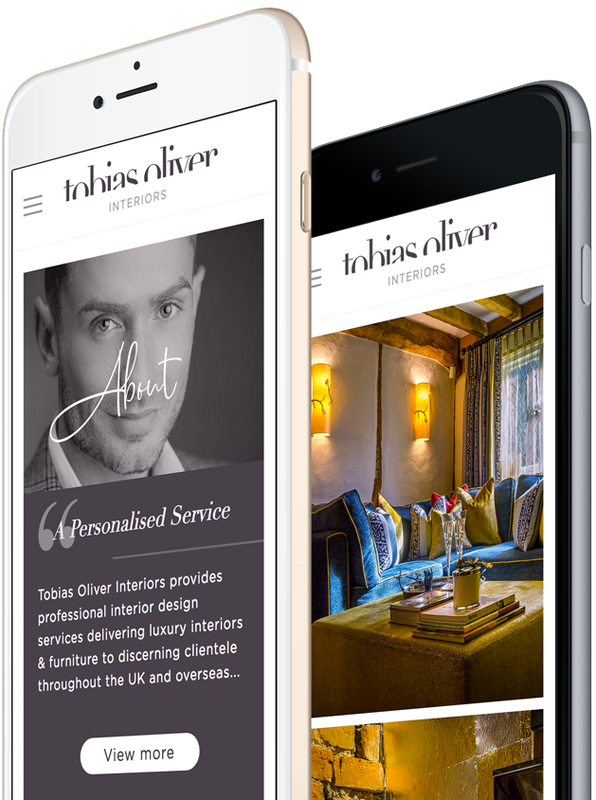 We have used a combination of Didot and Gotham, our two favourite fonts to develop the Tobias Oliver Interiors logo. This in combination with hues of aubergine provide a warm classical/contemporary perception and which has a 'magazine' approach to the styling. "Doublard Design has shown the upmost creativity, professionalism and diligence throughout the course of our project together. From concept creation to completion of our re-brand, website and e-commerce launch. We would highly recommend them to anyone expecting to benefit from a superlative service; in all the expertise they retain. We look forward to our continued partnership."